AKA Pin-Down Girls "The Strange LOVE-LIFE of a WRESTLING GAL!" "SEE...Intimate Scenes of Gorgeous Girl Wrestlers with the Naked Eye of the Camera!" Less a coherent narrative as an exhibition. Ladies wrestle. Their manager uses his business to launder money. But, primarily, ladies wrestle. With short Are You Ready For Marriage? : Two young lovers plan to drop out and get hitched, but a councilor warns them about the terrible possibility that they might BOING. I've heard it said that women wrestling is to this movie as jets refueling is to The Starfighters, which is a hell of a warning. By the way, there are just 14 Comedy Central episodes left in our tour. YouTube (1h32m) Premiered November 26, 1994. Short: Are You Ready For Marriage? "A high school senior really has the hots for her boyfriend and wants to get married right after she graduates, despite the objections of her parents." Directed by Gil Altschul. Written by Chuck Probst and Harriette Smith. Starring John Galvarro, Frank McLaughlin and John Olson. "A money launderer uses women's wrestling as a front for his illegal activities, but earns the enmity of a powerful mobster." Directed by Robert C. Dertano. It stars Peaches Page, Timothy Farrell and Clara Mortensen, but oddly, no writer is credited. Make of what what you will; the IMDB says Dertano also wrote it. The girl who played Sue in this short was also in What To Do On A Date? and its sequel (riffed by Frank and Trace at the 25th Anniversary show) More Dates For Kay. She is credited in none of these, and her identity is unknown. Here's hoping she's still around, kickin' and squishy. 90% certain that Squishy Girl is not the same one as Kay. I can't remember the name of the short with Squishy Girl, but it's not Are You Ready for Marriage and it's not What to Do on a Date. A Young Man's Fancy, maybe? In other news, god I hate Racket Girls. A case could be made that it's the ickiest, most loathsome MSTed movie. Please rise for the Ukrainian national anthem. Hm, you might be right that she's not Kay (I have a terrible memory for faces), but Daddy-O is pretty insistent that she was in both What To Do On A Date and More Dates For Kay. She could be someone else, perhaps? But then, she's an uncredited role in all of these shorts, so who the heck knows. Every week we in MST Club get together and watch that week's episode. This week it will again be in our cytube room, at https://cytu.be/r/Metafilter_MST3KClub, tonight (Thursday) at 9 PM ET/6 PM PT. I hope to see you there! There are few sources of so-called entertainment more Loathsome than Professional Wrestling today. Well, maybe those "fear/hate the Others" propaganda pieces commonly called Zombie Movies/TV (now being exported to SciFi by the Alien series). And South Park, the cartoon for people who despise Animation. Damn, you got me started... I'll try to regain my composure before the Club tonight, but it's gonna be a tough night. I'm pretty much on your side there, foop. I nominate Hobgoblins as a candidate for ickiest. Very, VERY unpleasant gender stuff there. Gentlemen: I give you…a resolution of the Squishy/Kay Conundrum! In cross-referencing Daddy-O and Satellite News, we can confirm that the character who memorably refers to herself as "squishy" is from "A Young Man's Fancy"—the one, you will remember, that wedges kitchen appliances into a tale of clumsy youthful flirtation. The character? Judy Adams. The performer? One Bonnie Baken—who it seems went on to have a theatrical career, in contrast with the Kay actress, to whom we shall return shortly. Based upon my visual inspection, this actress seems shorter in height than the Kay character; witness Kay's apparent height when standing next to the gangly loser with whom she is attempting to do things on a date. I would additionally argue that Bonnie Baken's performance is an overall more convincing one than we see from the portrayer of Kay. Moreover! : Judy appears younger than the actress who plays Kay (although this could, admittedly, be a function of wardrobe, makeup, and/or acting), yet "A Young Man's Fancy" was released within a year of "What to Do on a Date"! Kay—that is, the unknown actress in the equation—did indeed appear in both "What to Do on a Date" and its sequel, "More Dates for Kay." I in fact saw this sequel and am reasonably sure that our resources are correct: they are the same unknown actress. But herein lies a key clue! : the same unknown actress, as pointed out by JHarris, played "Sue" in "Are You Ready for Marriage? "—and this short? Is the "boing!" short. Gentlemen: I put it to you that the confusion regarding "squishy" arises from the similar instant-catchphrase of "boing" from the latter short. Moreover, the Kay/Sue appearances were apparently all in Coronet Films, whereas the Judy short was a Jam Handy production, and one of obviously higher production values than Kay/Sue's three shorts. …I'm just glad the credits for these shorts didn't list Gene Roth or Merritt Stone! On the loathsomeness topic: yeah, Hobgoblins could be a close second to Racket Girls…but at least Hobgoblins was trying (however agonizingly poorly) to be funny about its Cro-Magnon view of sexuality. (Gold Boots might actually rank higher than Hobgoblins solely due to the oil factor.) Boggy Creek is fiercely anti-woman but only actually exploitative up to a point; in a way, Tom's insistence that they wrestle adds some extra ickiness to the film. Racket Girls feels like you're hunched behind a dumpster peering into a girls' locker room, and the cousin you don't like who talked you into it has his hands where you can't see them. What about Horrors of Spider Island? 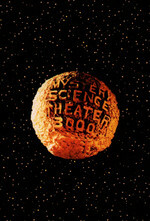 I just made a post in the MST3K Club Talk section, What are the most loathsome MST3K movies? Maybe we could carry on the discussion there? Just watched this, and man, this is not a very good movie.